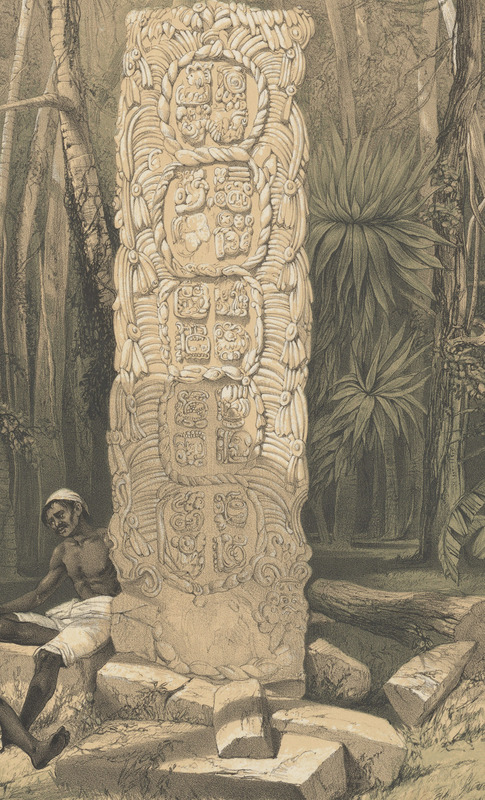 Detail of Back of an Idol, at Copan, lithograph on stone by H. Warren, based on artwork by Frederick Catherwood, from Catherwood 1844, pl. III. 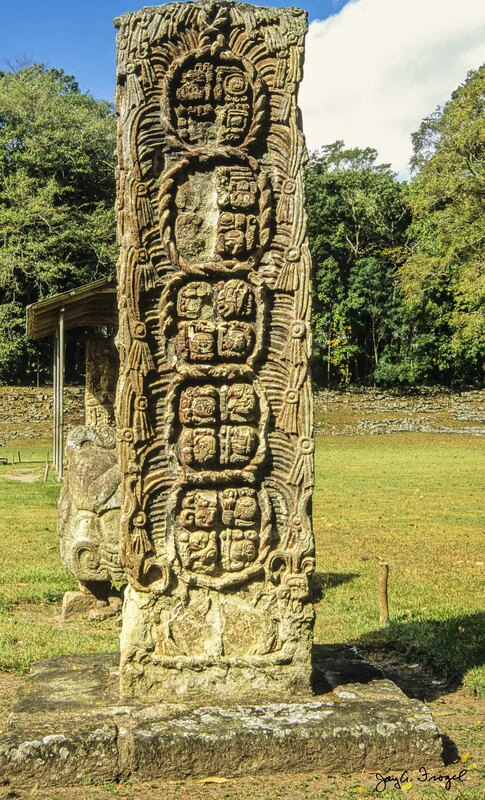 Copan, Back of Stela F. Photo: Jay A. Frogel.